Green versus, well, green too, face off in a problem that faces those who care about the American west, including Jeffrey Lovich and Joshua Ennen of the US Geological Survey, who co-wrote this important article. 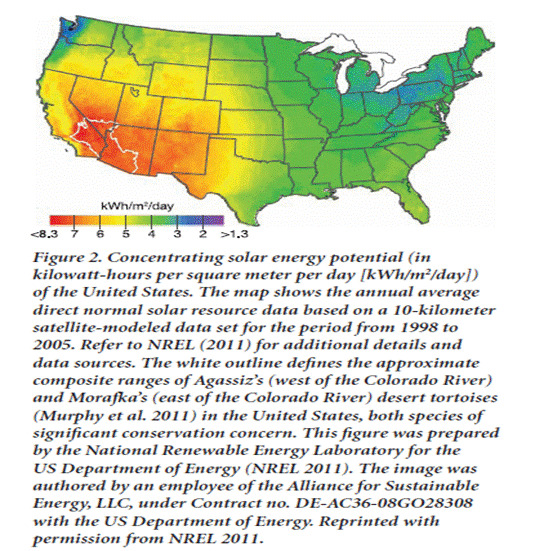 Solar power and the Arizona desert is a good fit, with the highest radiation in North America, as shown in this map. 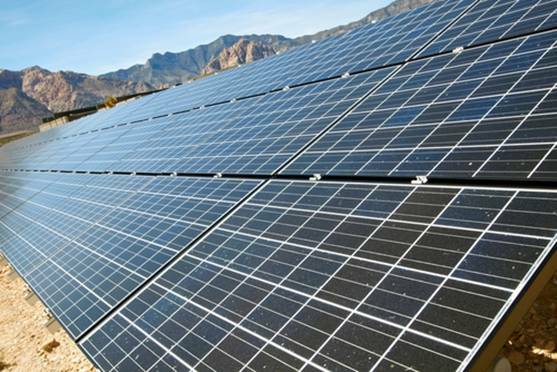 Hundreds of thousands of hectares will be affected soon by the construction of photovoltaic power generators and various offsite effects. These basic impacts of renewable energy are listed as habitat fragmentation, dust creation, pollution by varied chemicals and heat and light generation. We can assume various wildlife species could be heavily influenced by this change, throughout the south-west. That argument leads to further conclusions on where exactly sites should be placed, whether in groups or spread throughout an optimal area. Neglect of protected species in these areas with high biodiversity and related sensitivity of the habitats involved, is bound to lead to a clash of the two green cultures. The Mojave and Sonoran deserts have large human population and climatic changes occurring at present. More stress on certain species could cause greater effects than those stresses already threatening them. Sadly the effects of renewable energy on wildlife has been concentrated on wind power on bird spp. Scant information is current on solar power effects on local habitats and species. Uniquely, the two local tortoises come to the fore in this desert scene. As "umbrella species," they engineer burrows for many other denizens of the desert, including several endangered lizard species affording them shade, cool temperature and living space. The various impacts of solar energy construction and eventual decommissioning of such constructions have been estimated as ground disturbance and mortalities and habitat loss/modification for local (mainly subterranean) species. As large areas are needed for solar energy generation, several relatively undisturbed regions are under consideration. Photovoltaic cells presently with an 10% conversion efficiency, could actually meet all US electricity demand, if 32,000 km2 (or the state of Maryland would do!) were employed. Surface disturbance is affected by cooling technology. With a scant water supply, dry cooling systems are more suited to the system, but less so to the wildlife habitat as their footprint is larger. Human activity in the desert would be similar to many other such human interventions in the area. Unfortunately, most hibernating animals in the Coachella Valley, for example, are present at depths less than 33cm (13 inches). 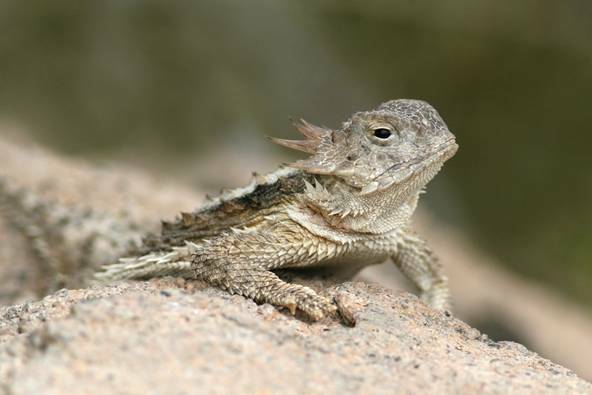 Flat-tailed horned lizards and fringe toed lizards* are easily trapped or killed, even when a motorcycle passes over them. Any heavy equipment could compress and kill very large numbers of these federally-protected* and other creatures. Dust would be expected to cause photosynthetic, gas exchange and water usage of plants. Burial, root exposure and physical damage must also be taken into account, which in turn indirectly causes loss of food supplies and the quality of habitat. As dust suppressants are needed to maintain solar panel cleanliness and hence efficiency, their various effects on plants (and animals to a lesser extent) have been recorded as hazardous. Magnesium chloride was particularly harsh on plants, partly because total suspended solids increase in the run-off water greatly increased damage. Drainage patterns would obviously be disturbed by ground preparation, changing plant communities' water supplies and killing by root dessication. A desert with roads is changed far beyond the imagination of a road user. A study in southern Nevada found Agassiz's tortoise activity affected up to 4000m from a road. Edge enhancement (meaning plant and herbivore proliferation alongside roads) inevitably means attraction of species such as tortoise to the road, leading to previous figures being produced on increased vehicle strikes. Fragmentation of habitat by the roads has affected desert ecology in many ways, with bighorn sheep the tortoise spp. and mule deer already restricted in genetic exchange as well as migration (creating bottlenecks, for example) and general movement with resultant range reduction. Noise pollution mainly during the construction (and decommissioning) phases would have great effects on many different species of animal. Rattlesnakes could have a field day, as kangaroo rats have been proved to be less able to detect predators (partly due to loss of hearing). The quiet nature of solar energy belies its ability to encourage traffic flow and the need for large numbers of pumps and fans, particularly for the preferred dry cooling systems. Uniquely worrying too are those concentrated beans of reflected light. These have been recorded killing birds and flying insects, but the heat involved can transport downwind to create drought conditions. That particular micro-climate can only be expected to damage these ultra-sensitive habitats. In conclusion, J&J presume that old mine sites, overgrazed pastures, and abandoned crop fields could be recommended by authorities as they cause least distress to habitats and provide suitable simple infrastructure for development on a large scale. 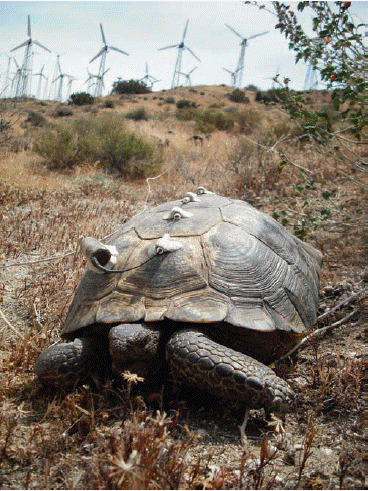 Mitigation is the key to saving tortoise and other protected species. Translocation is a poor choice unless better guarantees are given that in previous such attempts. Other mitigation strategies could only involve reduction or compensation for any impact of development. A condition of the occupation of an area could be monitoring of the status of threatened habitats and/or species. Interestingly, Abbasi and Abbasi have stated that "renewable energy sources are not the panacea they are popularly perceived to be; indeed, in some cases, their adverse environmental impacts can be as strongly negative as the impacts of conventional energy sources." These strong references to environmentally disastrous consequences from what in effect should be a climate-altering success story must be divisive. Who should win the day, Green energy or Green (if that can possibly be appropriate) desert? The brave pair of authors suggest only extensive further research can possibly help the decision.